The Baseball Writers Association of America released the results of its annual vote for players to be inducted into the Baseball Hall of Fame in Cooperstown, Ohio. This year the association announced that pitchers Mariano Rivera, Roy Halladay, and Mike Mussina, and designated hitter Edgar Martinez were to be included in the gallery of the best players in baseball history. The voting was notable in that Rivera received 100 percent of the vote, the first player to ever earn that honor. “Beyond my imagination,” Rivera said of receiving the first ever unanimous vote. But the latest slate of inductees is notable for another thing that seems to have become an annual result: Red Sox pitcher Curt Schilling was again left out by the Baseball Writers Association. 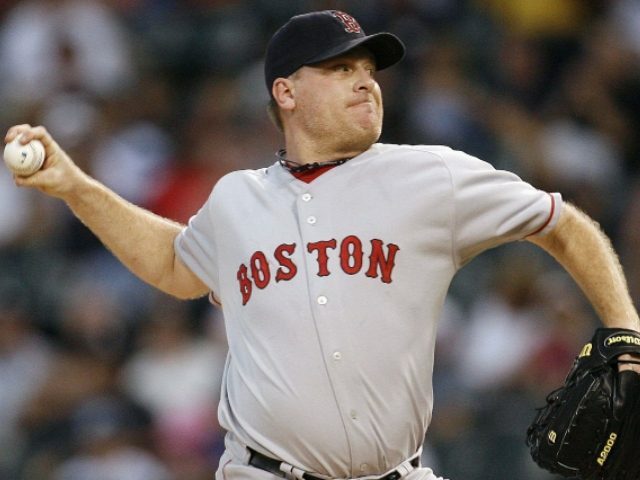 Schilling retired in 2009 after 20 seasons in the pros. The storied pitcher ended his career with a 216–146 record, a 3.46 ERA and 3116 strikeouts, the 15th highest strikeout total in Major League history. Schilling is also a three-time World Series champion and one-time World Series MVP. Yet he has been systematically shunned by liberal sportswriters tasked with voting for new members into the Baseball Hall of Fame. Schilling has said in years past that he feels certain that he has been constantly ignored because the liberal baseball writers don’t like his outspoken political views. Schilling also insisted that the writers responsible for voting in new inductees have cast him in among Barry Bonds and Roger Clemens, players who have been tainted by performance-enhancing drug abuse scandals. “They are equating me and something they think I’ve done or said with guys who willingly [cheated],” Schilling told Levin. Indeed, one sports writer who votes in the Hall of Fame process seemed to admit that some sports writers do hold Schilling’s politics against him. Schilling did get a big boost in voting percentage this year. Another substantive leap: Curt Schilling, who went from 51.2 percent last year to 60.9 percent this year. Like Bonds and Clemens, he's got three years left to reach 75 percent, and they're all bunched in the 60 percent neighborhood. Meanwhile, Schilling continues to fight for the views he holds dear while hosting The Curt Schilling Podcast, for Breitbart.